Waged between the Allies and the joint German and Italian troops in the early part of 1944, the Battle of Monte Cassino was one of the hardest fought battles of the Second World War. 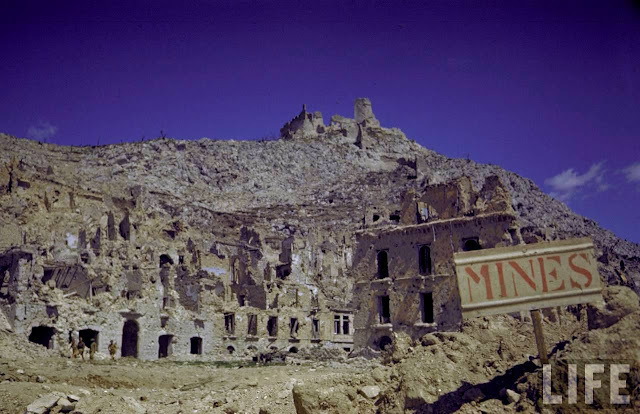 The main objective for the Allied forces fighting their way up from Southern Italy was to break through the Germans’ Gustav Line — a series of military fortifications running across Italy — and gain control of Rome. Named after the 1,400-year-old monastery of Monte Cassino that stood at the center of the German defensive line (and which was controversially destroyed by American bombers during the battle), the fighting was made up of four smaller battles that took place in January, February, March and May, respectively. The eventual capture of Rome came at a high price, with at least 125,000 casualties on all sides — and as many as 185,000 by some estimates. The Battle of the Bulge — so-called by the British because of the “bulge” in the map where the German forces broke the Allied line — was the last major German offensive on the Western Front of World War II. 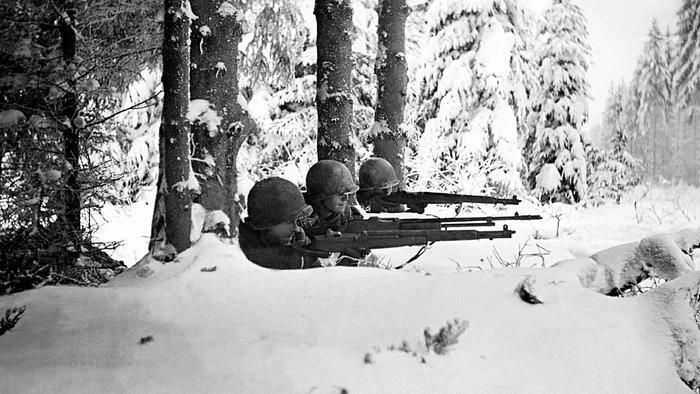 Also known as the Ardennes Offensive — named after the densely forested area of Belgium, France and Luxembourg — the aim of the operation was to split the Allied troops in two, capture Antwerp in the process, then destroy the remaining Allied forces. Fortunately for the Allies, the battle did not go to plan for the Germans. Despite catching an overconfident and unsuspecting Allied force unawares, superior numbers, timely reinforcements and improving weather conditions (which allowed the Allied air forces to take to the skies) sealed the Germans’ fate. With around 840,000 men committed, it was the largest battle the American Army fought in World War II, as well as among the bloodiest. A decisive victory for the Soviet Union on the Eastern Front, the Battle of Kursk saw the largest series of armored tank clashes of the entire war and the costliest single day of aerial conflict in history. 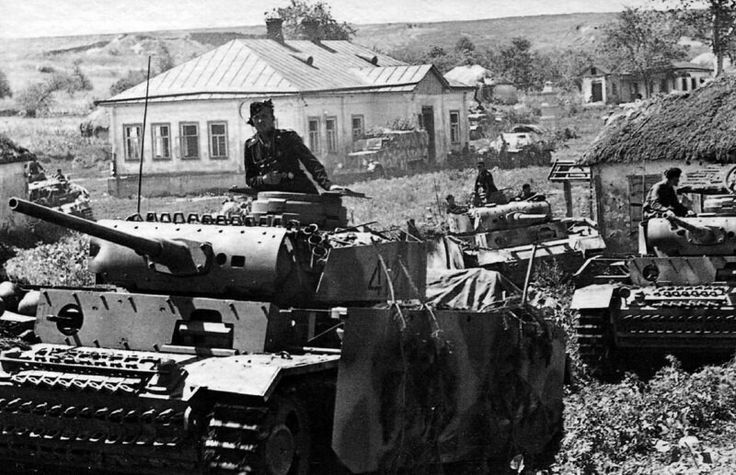 Having been warned months in advance of the Germans’ intention to eliminate the Kursk “bulge” — created in the aftermath of their devastating defeat at the Battle of Stalingrad — the Red Army was well prepared to take on the Nazis. Through a vast and brilliantly constructed network of minefields, anti-tank guns and defenses 155 miles deep, the Soviets wore down their attackers and then launched counter strikes, hemming the Germans back across a broad front. According to the Soviets, the Germans alone lost 500,000 men — killed, wounded or captured — though other estimates are more conservative. The Soviets went on to liberate most of Ukraine in what was to be a major turning point in the war. Kharkov was a strategically important city in the Ukraine that had seen fierce fighting in the autumn of 1941, when the Germans captured it. The following year the Red Army launched a major offensive to retake the prized city. 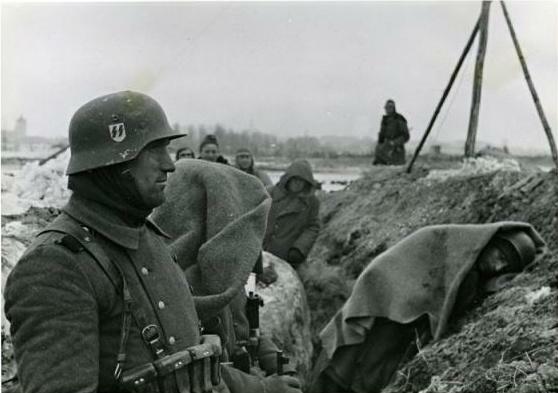 Unfortunately for the Red Army, the Germans were still very much active in the area and were able to call upon forces to launch a strong defense and counter-offensive. The Germans encircled the three Soviet armies and effectively destroyed them. In a devastatingly effective operation, the Germans wiped out nearly 280,000 Russian men and 650 tanks. 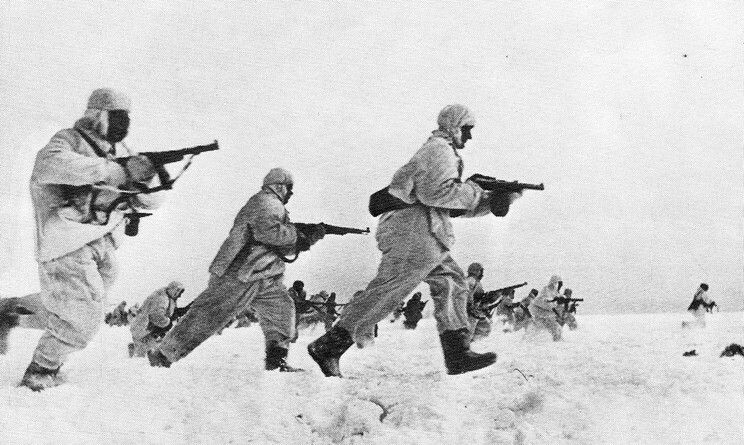 A disaster for the Soviets, the Second Battle of Kharkov pressed home the importance of staying on the defensive to the Red Army and inflated the Germans’ confidence — which many saw as playing a part in their downfall on the Eastern Front. Luzon, the largest island in the Philippines, was seen as being of great strategic importance to the United States. Despite General MacArthur’s belief in value of the island, American troops would have to wait until 1945 to launch an attack on Luzon, which was taken by the Japanese in 1942. When the Americans did make it back to Luzon, the fighting — complicated by the Japanese use of the famous kamikaze pilots — was frenzied and fierce, with incredibly high numbers of casualties, particularly for the Japanese. 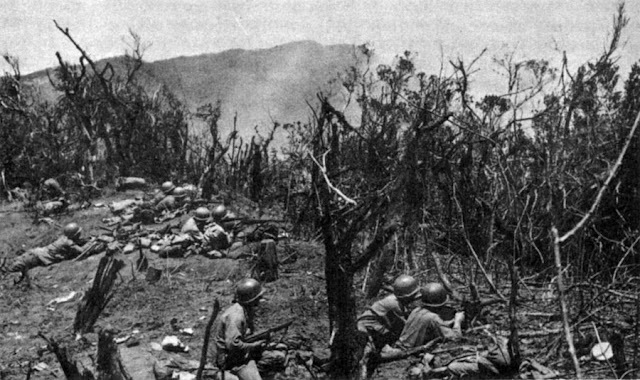 By the 11th of February American troops had captured Manila; however Japanese resistance — from scattered forces making sorties from the mountainous areas of the island — continued for some considerable time afterwards. The Battle of France marked the end of the so-called Phoney War — that strange, uncertain period of the Second World War which saw neither side commit to serious military action — and witnessed the German forces invade France and the Low Countries. 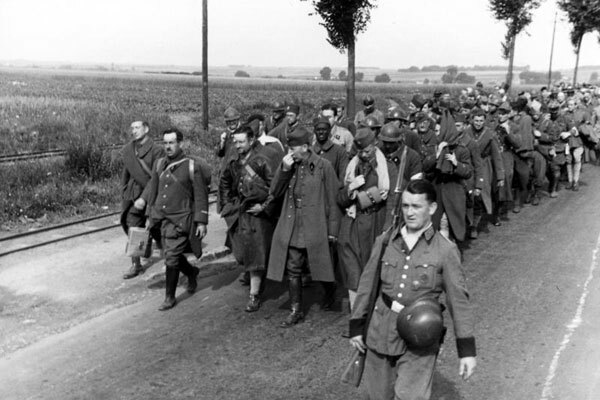 Despite similar numbers in their respective forces, the Germans managed to overcome the French, bolstered by the British Expeditionary Force and Belgian and Dutch divisions. This was mainly due to superior German training and communication, and the Allies’ wrongly held belief that the Maginot Line — the heavily fortified French border with Germany — would firstly hold; and secondly, that the Germans would concentrate their efforts on it. In the event, the Germans attacked through Belgium and Holland, thereby rendering the line an expensive mistake. The Germans devastated the inexperienced French (and other Allied) troops and took the entire country soon after. The strategically important Estonian county of Narva Isthmus saw ferocious fighting between the German army — bolstered by Estonian conscripts desperate to resist Soviet re-occupation — and Stalin’s Red Army. 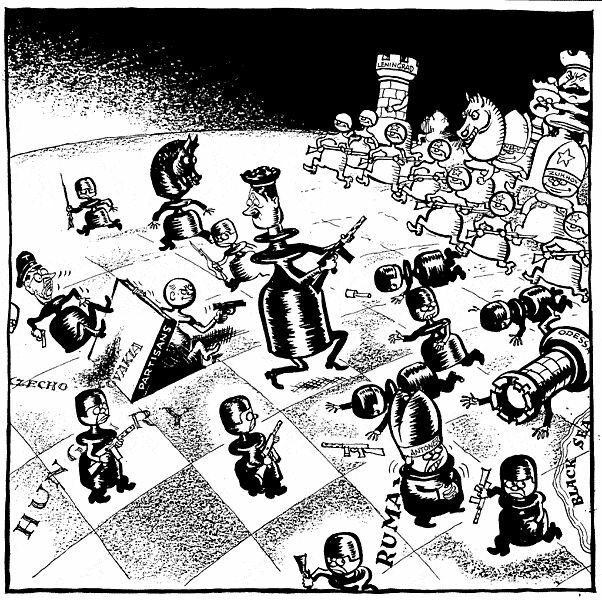 Both sides were desperate to hold the valuable territory. Separated by historians into two distinct phases (the Battle for Narva Bridgehead and the Battle of Tannenberg Line), the fighting was amongst the most intense seen in the entire war. In the end, after months of terrible combat that left tens of thousands dead — particularly on the side of the Soviets, who suffered at the hands of German counterattacks — Hitler evacuated all troops from Estonia. The country was then largely free until the Soviets reoccupied it shortly after the war ended. Soviet Russia’s successful defense of their capital against the German forces who sought to capture it in 1941 was a major turning point in the war. Hitler believed that if he could capture Moscow, the spirit of the Red Army war machine would be crushed and they would be at the Germans’ mercy. However, due to a combination of fierce and strategically well-executed Russian resistance (bolstered by reinforcements from the east) and a terrible winter with temperatures down to minus 22 degrees Fahrenheit (–30°C) and colder, the Germans were destined not to take Moscow. Losses were massive on both sides. The Soviets suffered at least 650,000 casualties (perhaps many more) while in just twenty days of fighting the Germans are believed to have lost around 155,000 men — a mark of the devastation they suffered here. The last major offensive of the war in Europe, the Battle of Berlin saw the fall of the German Army, the suicide of Hitler and the beginning of the end of the Second World War. The inexorable push of the Soviet army westwards saw them advance as much as 25 miles a day before stopping just 35 miles east of the German capital. The Red Army then proceeded to attack the city from the east and south, while a third group devastated German defenses from the north. 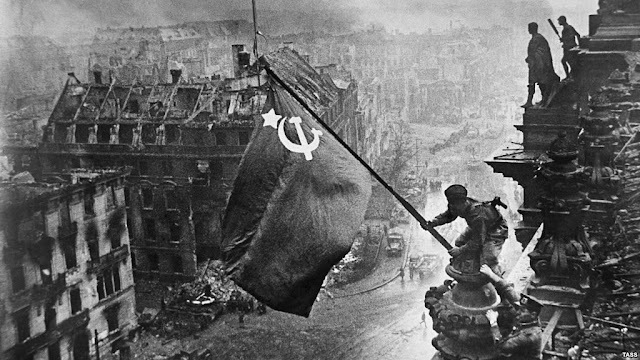 The relentless Soviet army marched ever onwards, causing widespread panic in the already depleted German defenses (bolstered by inexperienced Hitler youth members) and, following fierce and bloody fighting, took the Reichstag on the 30th of April 1945, more or less signaling the conclusion of the war. The Battle of Stalingrad, which saw Hitler’s major push for dominance on the Eastern Front, was marked by terrible losses on both sides. The Russians alone had over a million men wounded or killed. 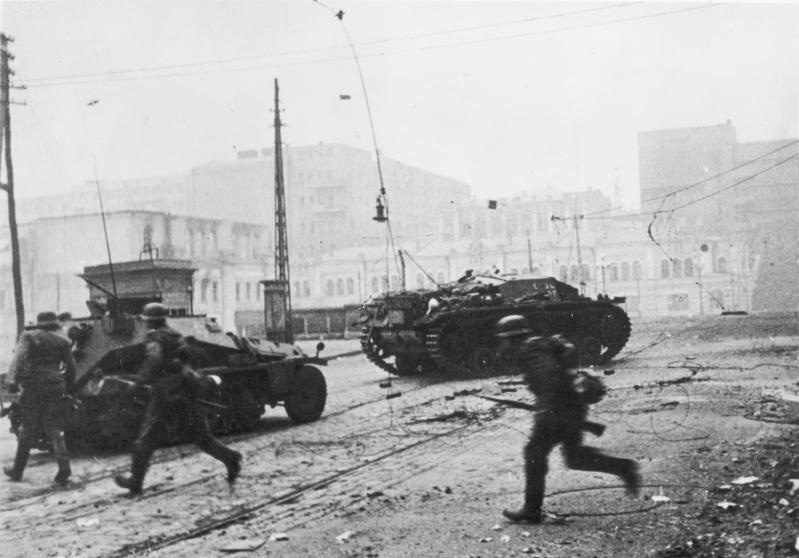 Barring their inability to conquer Moscow in the previous year, the war had generally been progressing well for the Germans up until this point, with valuable successes in North Africa and Europe. However, previously unseen brutality and crippling losses devastated the German offensive and severely dented their confidence. 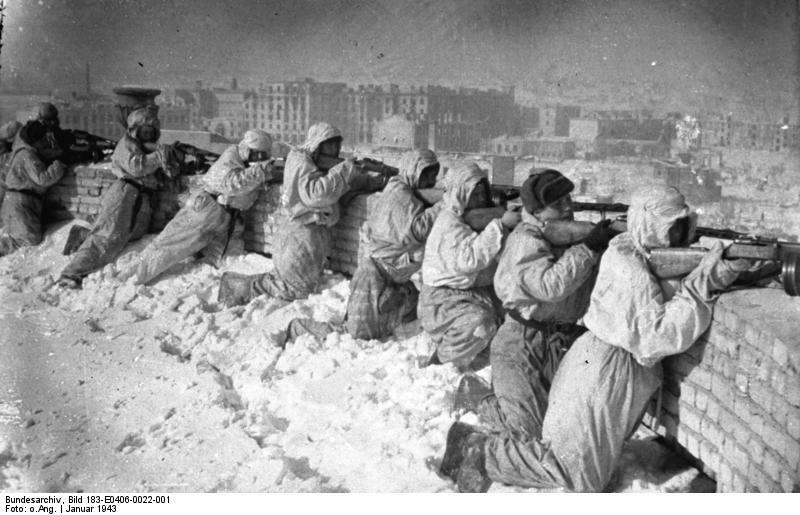 Once their Romanian and Italian allies had been eliminated, the Germans found themselves surrounded in Stalingrad, vulnerable and starving in the rubble to which the Luftwaffe had reduced the city. Some would argue that the Germans never fully recovered from this most destructive of battles — one of the bloodiest of all time.